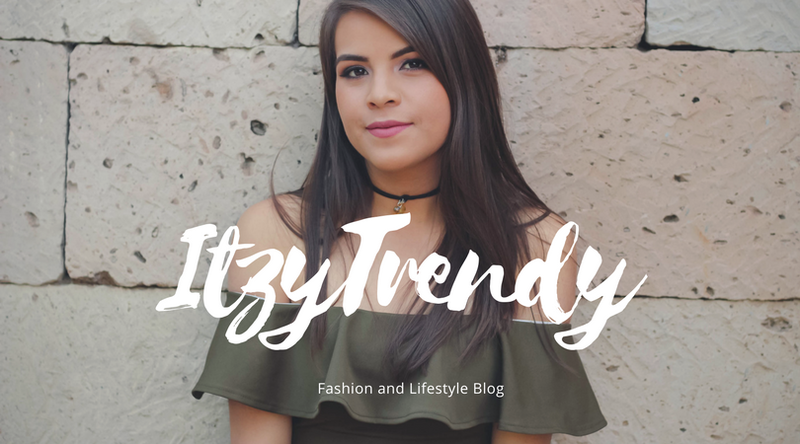 I´m Itzel Najar, I´m from Mexico and this is my personal blog, here I will post some outfits and personal experiences, I hope you like it. 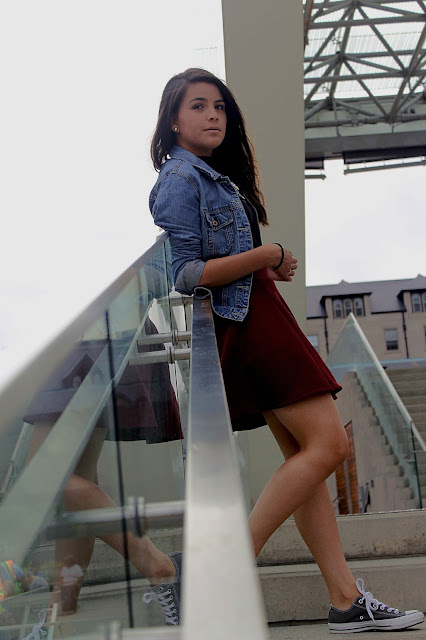 Si me siguen en redes sociales podrán darse cuenta que hice un viaje a Toronto y este fue uno de los outfits que usé. La verdad tenía que usar algo cómodo porque caminé como no tienen una idea. 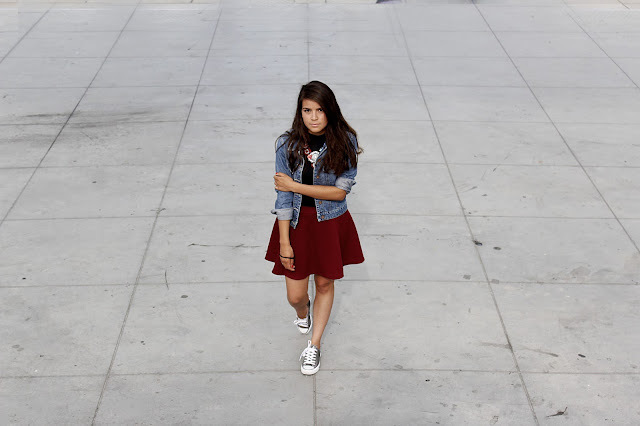 Una falda, uno croptop de H&M, mi Denim jacket de Gap y mis Converse, creo que hicieron el look perfecto. La verdad la ciudad me encantó, la extraño demasiado y ojalá y pueda regresar algún día, hay tanto que ver y puedes hacer muchísimas cosas, desde estar en la playa hasta ir de compras, es una ciudad que definitivamente lo tiene todo. I´m super excited. I´m back from my Toronto trip and it was amazing. I did many things, canoe, swimming; shopping and I walked a lot around the city. Tiring, but it was one of the best experiences of my life for sure! Now Toronto is one of my favorite cities. 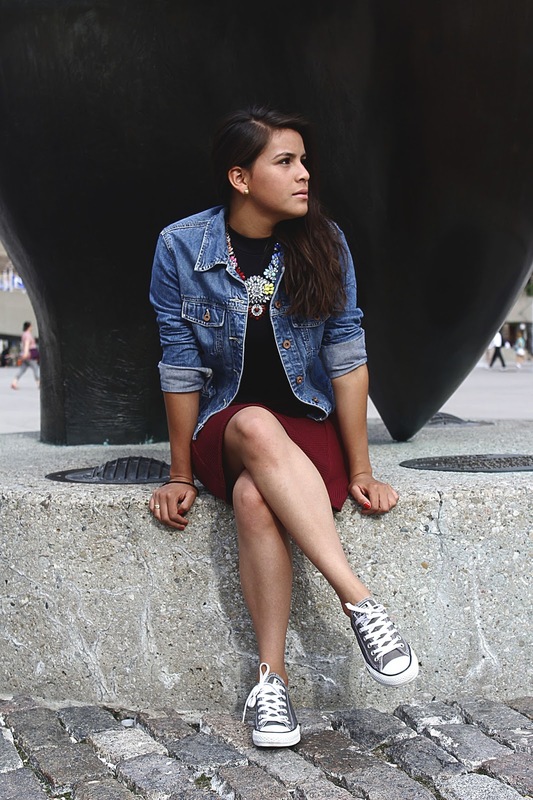 Since I had to walk a lot, for this outfit, I went with my converse and my skirt and crop top from H&M and a GAP denim jacket. It was perfect for walking around the city. Tell me what you think? Which is your favorite place in the world? Nice outfit ! Love this ! So stylish, I love this combo! 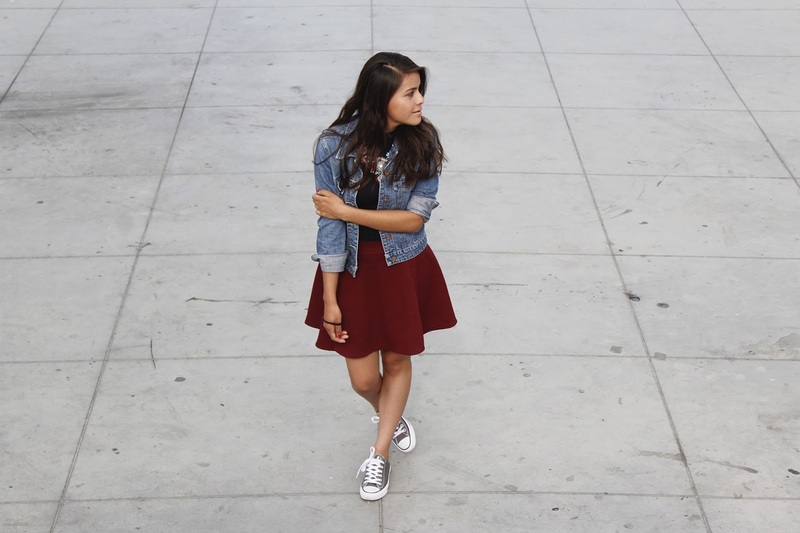 You look good in your look with the denim jacket! Interesting post and great review. You look so cute, babe, loving that skirt! I love the outfit and you look so pretty. Vegas is pretty cool, even though I live here. Have you been? 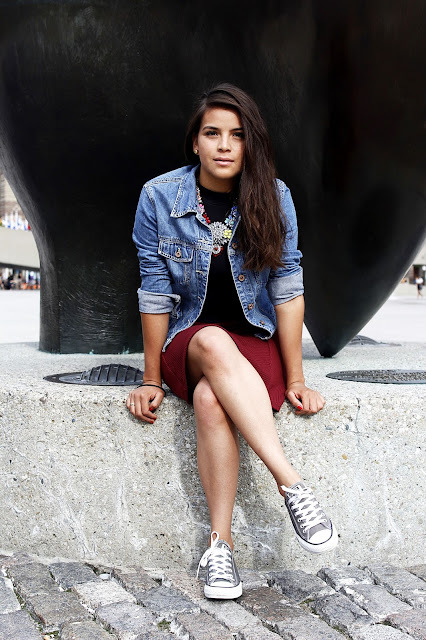 Love the denim jacket with this super great look for exploring around the city. Loving this whole outfit and the skirt! Qué bonita!!!!! Muy lindo look! Itzytrendy 2017. Con tecnología de Blogger.